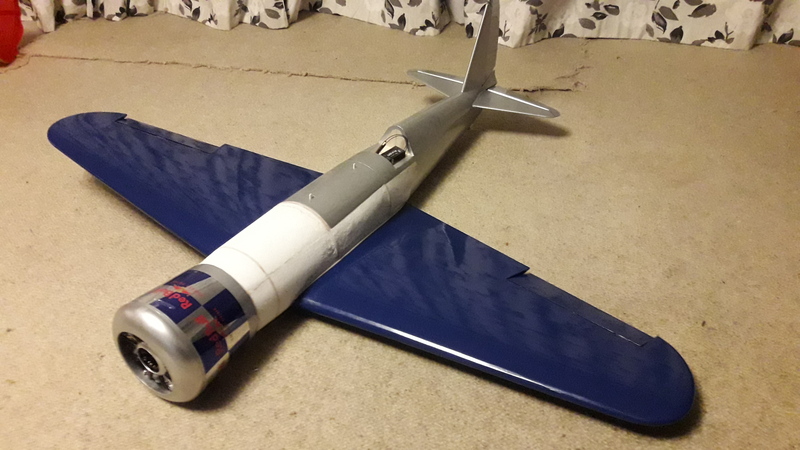 So I accepted the challenge to build something inspired by the Red Bull Air Races. While watching the vid of Josh and Alex I started thinking of what I could do that would stand out. 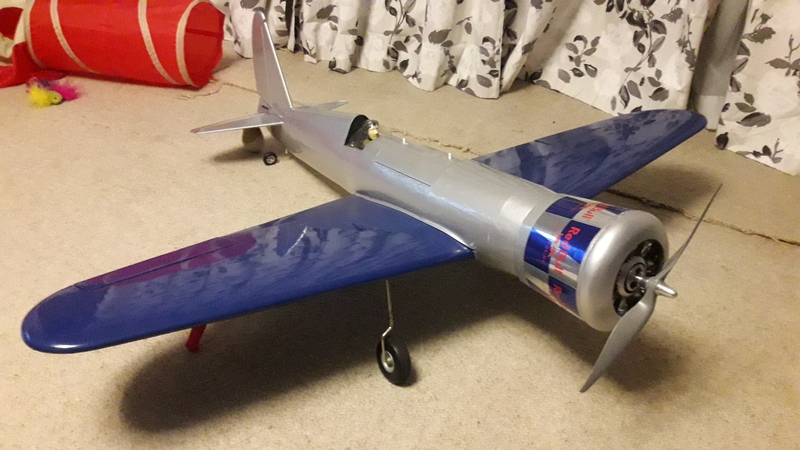 Then Alex said "what would a Red Bull racer look like in the golden age of aviation". Boom!! Only one thing came to mind...the Hughes H-1. The record breaking racer from 1935. 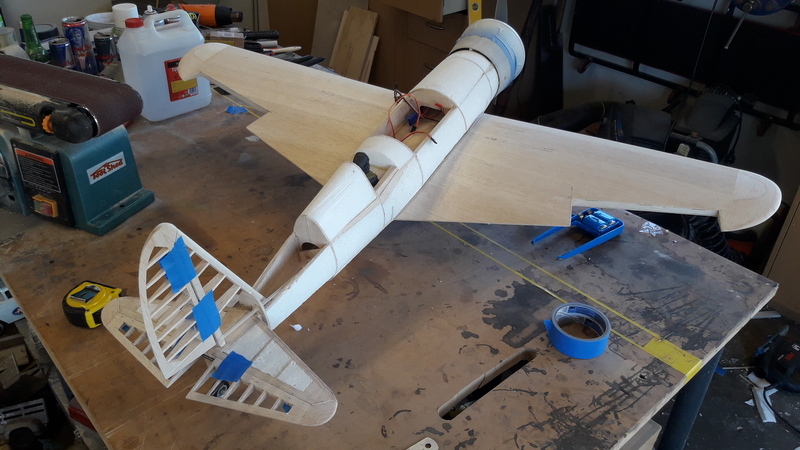 Now I have never scratch built, never built with balsa, never cut foam core wings, never covered a plane...so in true Flitetest style, what could possibly go wrong??? 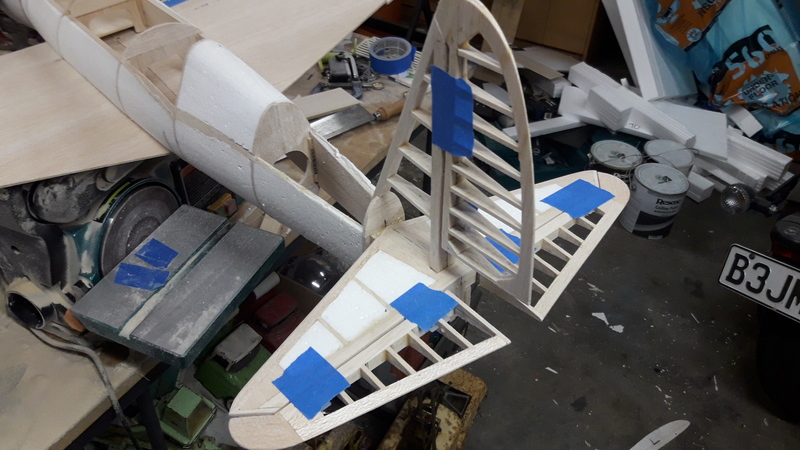 So I found some plans, and started out getting the bits, making a hotwire and gluing things together till it looked like a plane. 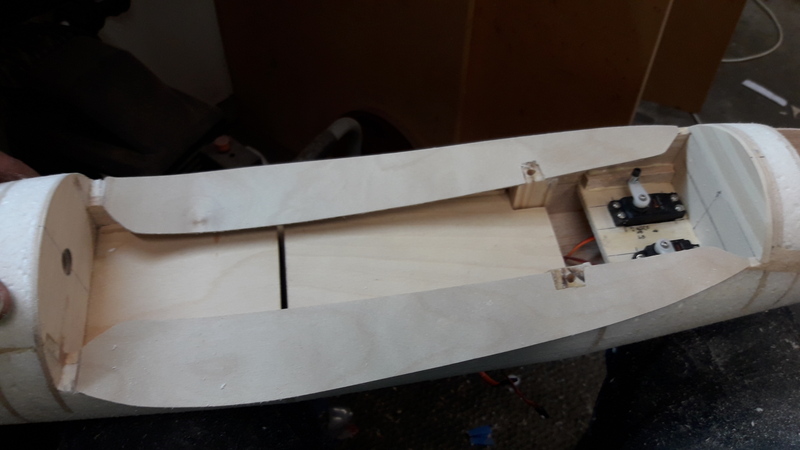 I started building on the 22nd June, hoping to maiden by the 5th August. That's a really short time to to this. 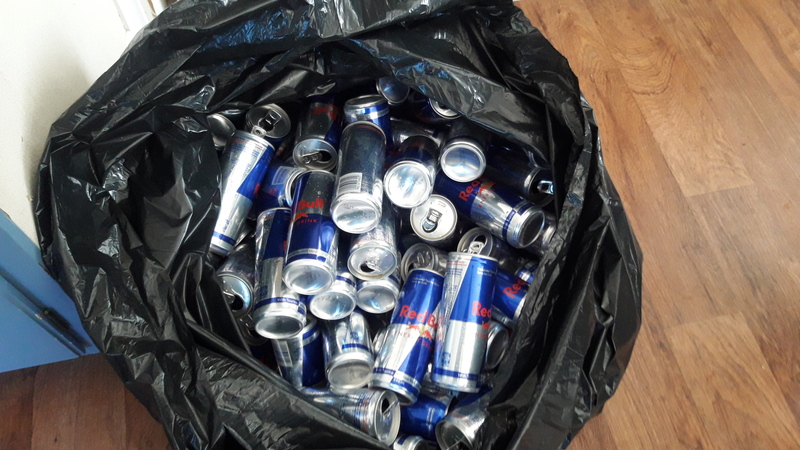 Oh and I plan to cover it in cut up Red Bull cans!!! So Monday rolled around again. 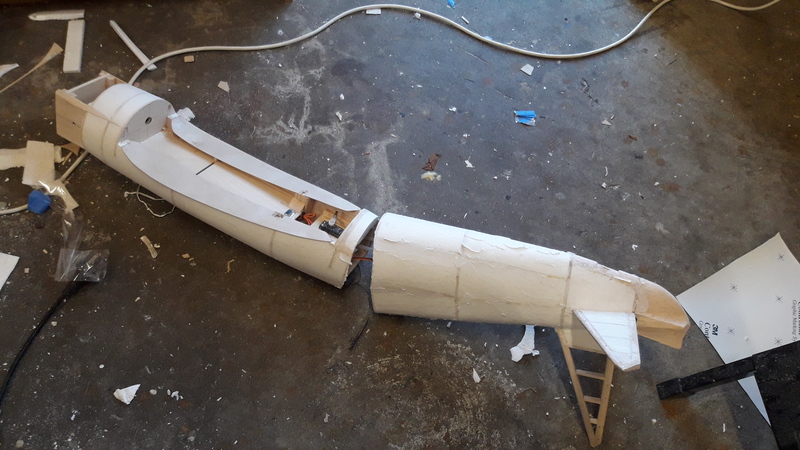 This week I planned to get the wings made as much as possible and while the glue was drying, do what I could on the fuselage. Here's my high-tech wing skinning press I used the negatives from the cutting of the cores to hold everything in shape. Now I have no local hobby shop near me and getting things sent is about a 3-4 day wait, so I tend to just plow ahead with what I can find. 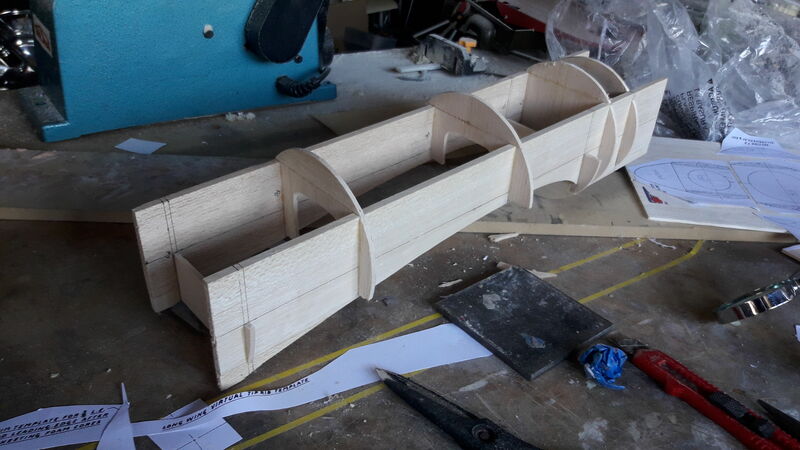 The leading edge ended up being made from finger jointed pine.....not recommended. 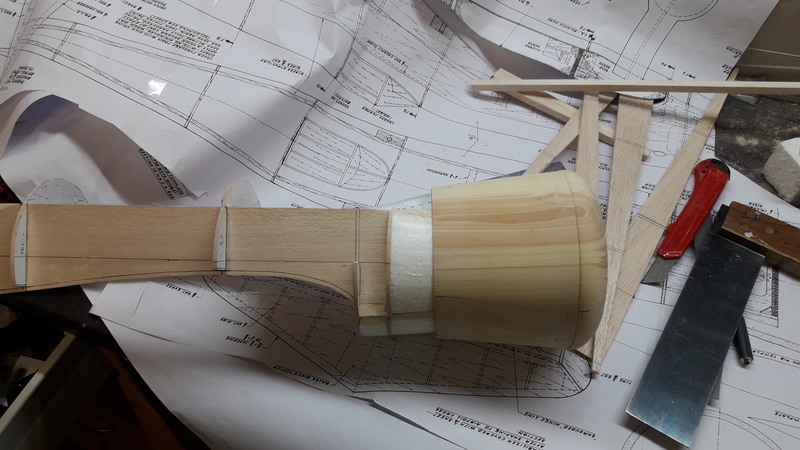 It was an absolute pain in the $#*% to shape and took about 2hrs to get right! Here she is after another week. 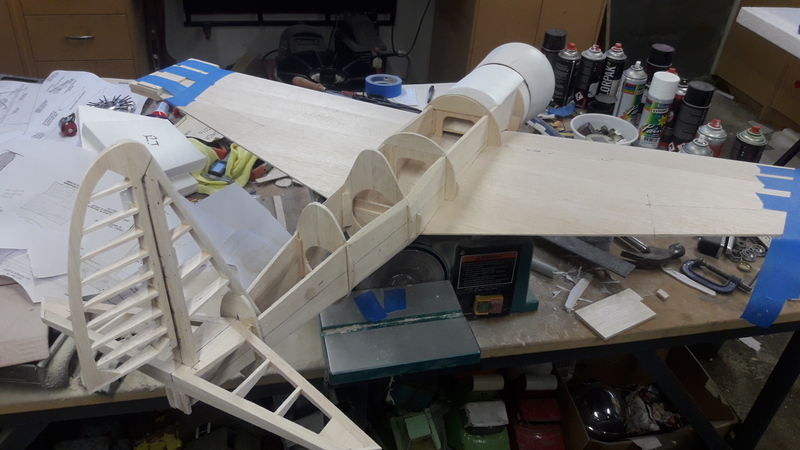 Wingtips glued on,horzontal stab and elevators made. 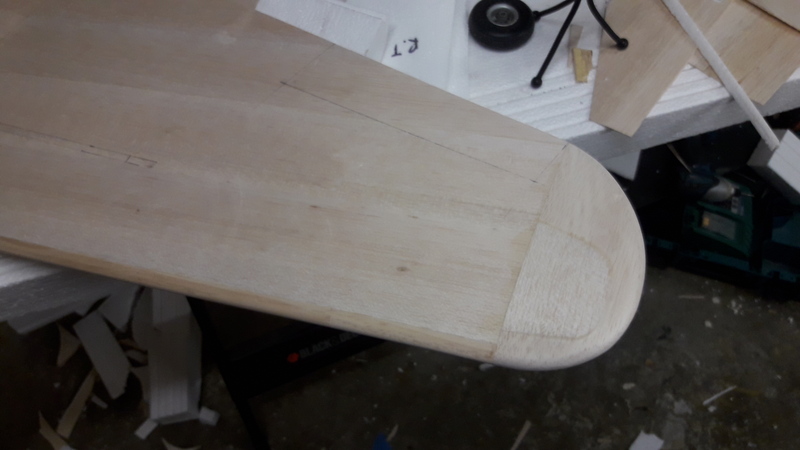 Wingtips shaped, I taped some sandpaper to my spirit level to get a long straight edge so that I could sand the tips in line with the wing. 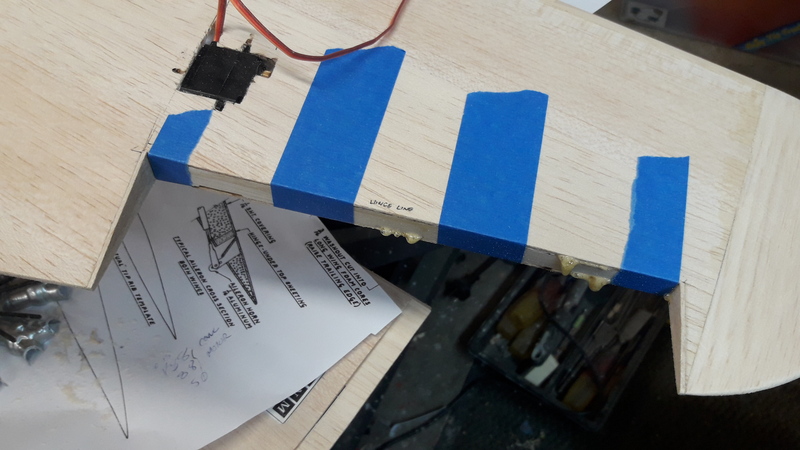 Came in handy later while sanding the fuselage foam too! 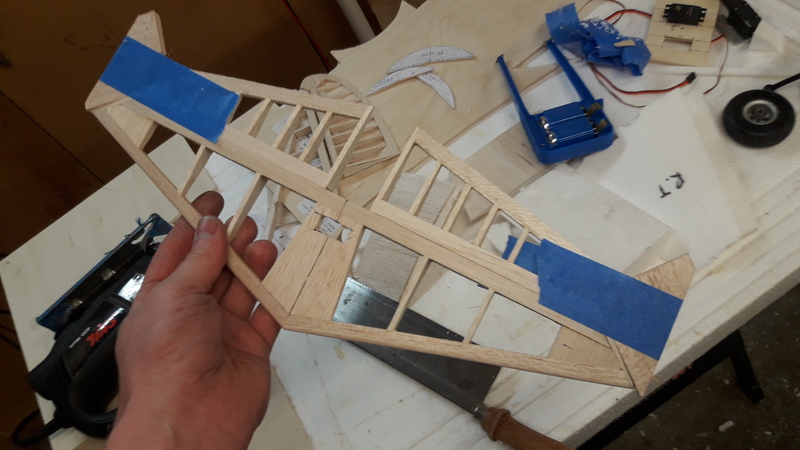 Also got the ailerons cut out and balsa added. 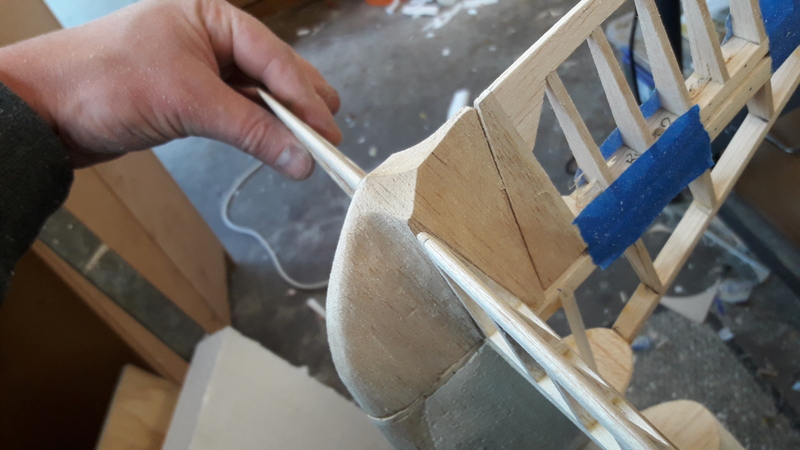 Glued the tips onto the elevators. 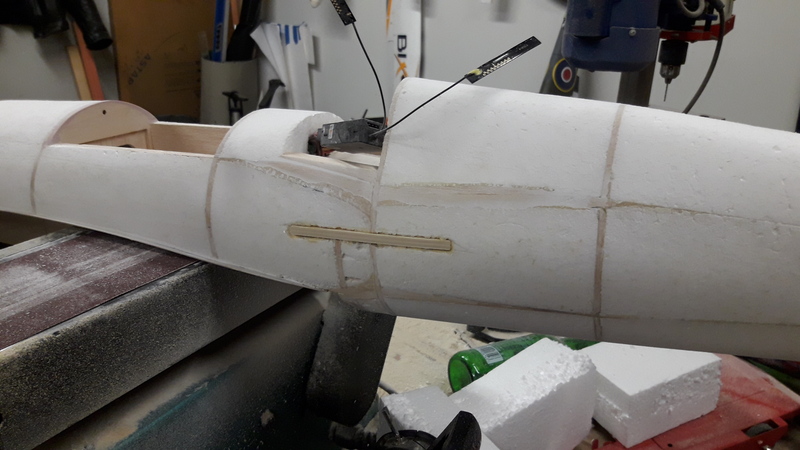 Started adding some foam to the fuselage. Like I said earlier, I use what I could find. 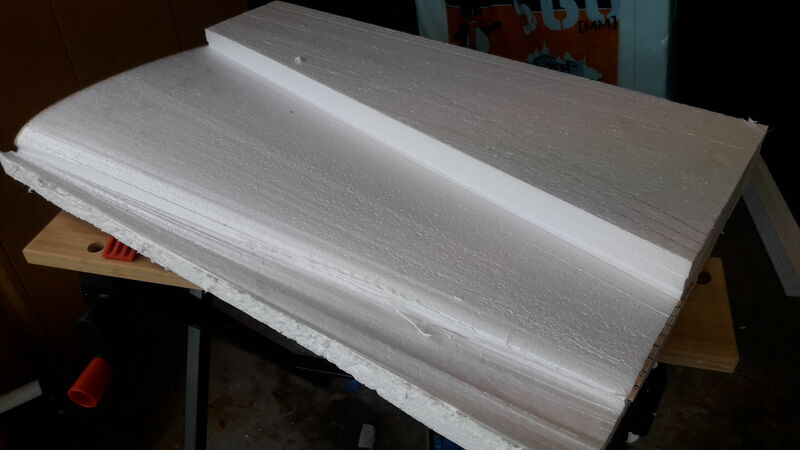 This ended up being some underfloor insulation foam. Its must be epo or epp. 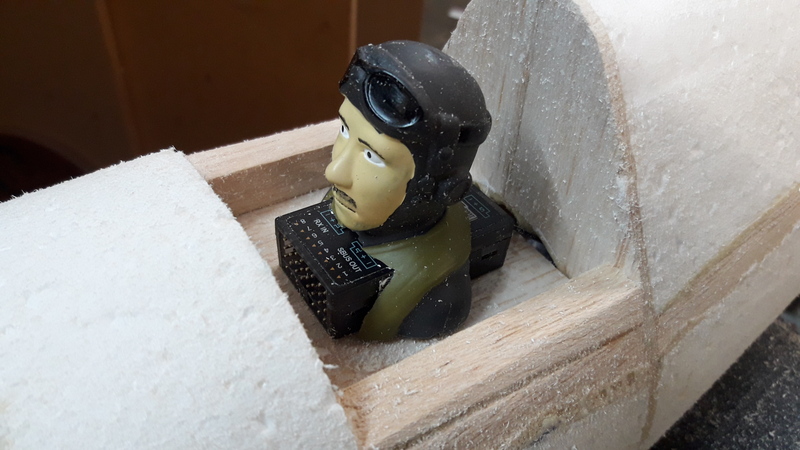 It was not that bendy but did sand much better than polystyrene. 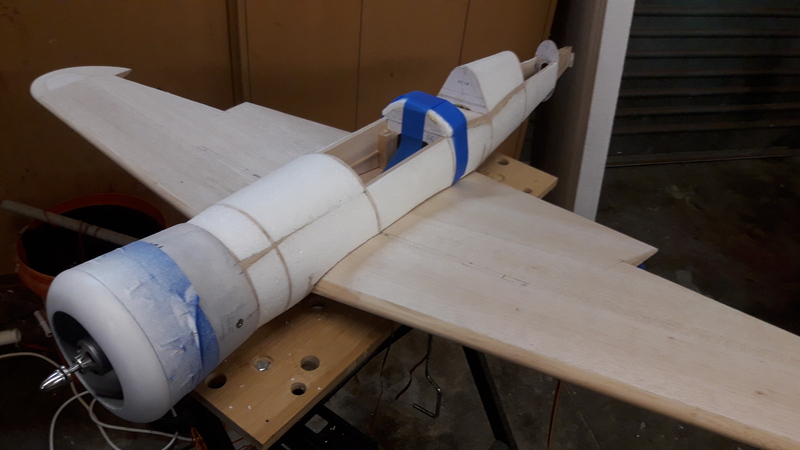 Added some more foam to the fuselage and got the motor mounted. 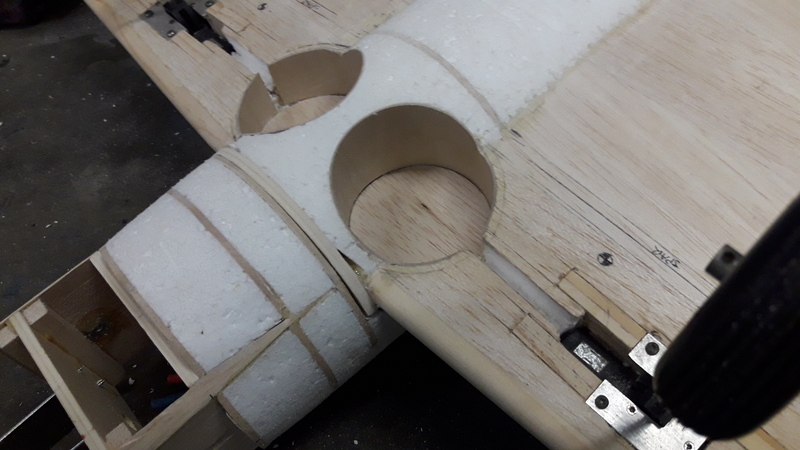 Also got the retract supports in, another thing I should have done before skinning the wings...oops. 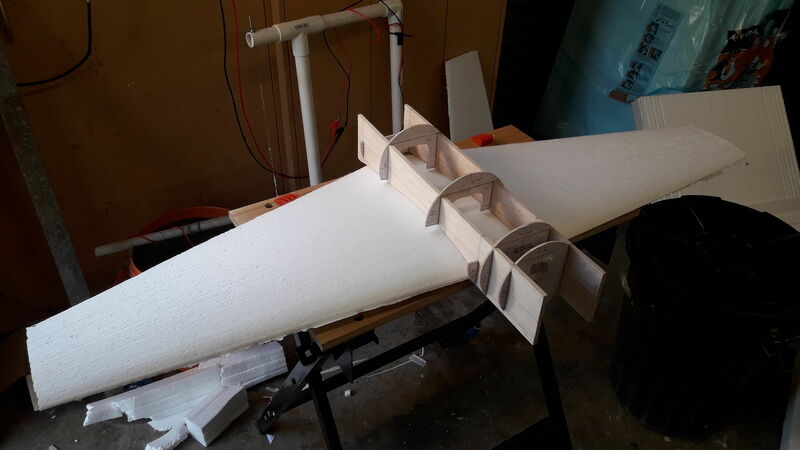 Finally figured out how I was going to attach the wing to the fuselage, been thinking about that one all week! And into week 4 we go!! 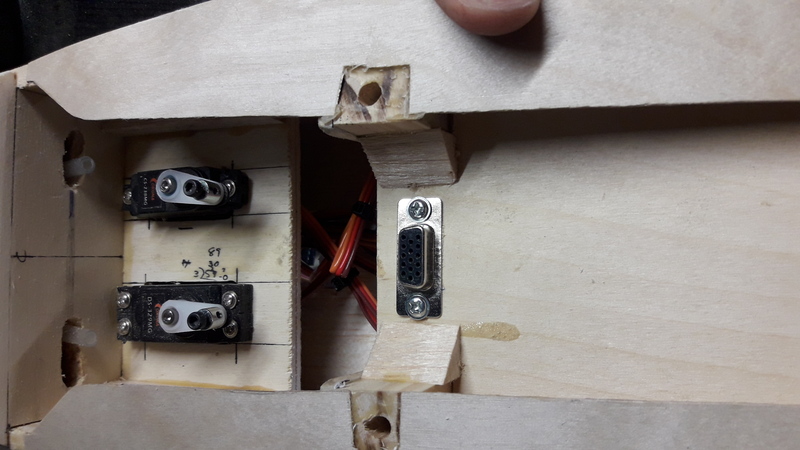 I had a bit of an idea to use pc connectors to connect all the wing servos to the rx. 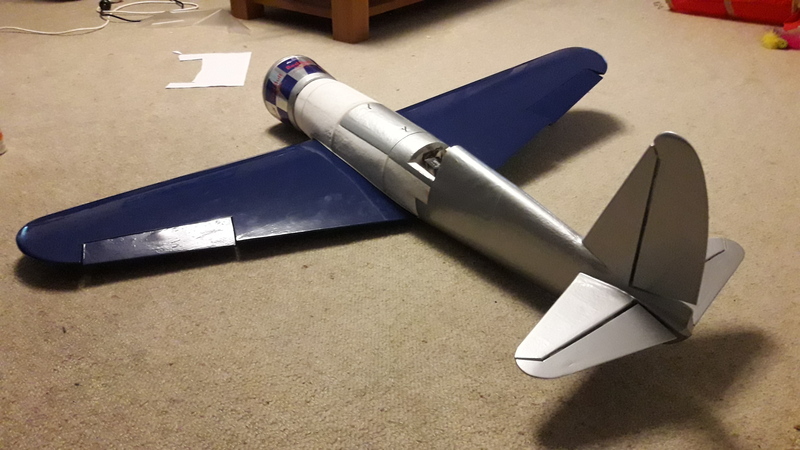 My mate did it on his Skyhunter and it worked well. No more fiddling about with multiple servo leads trying to figure out which is which. 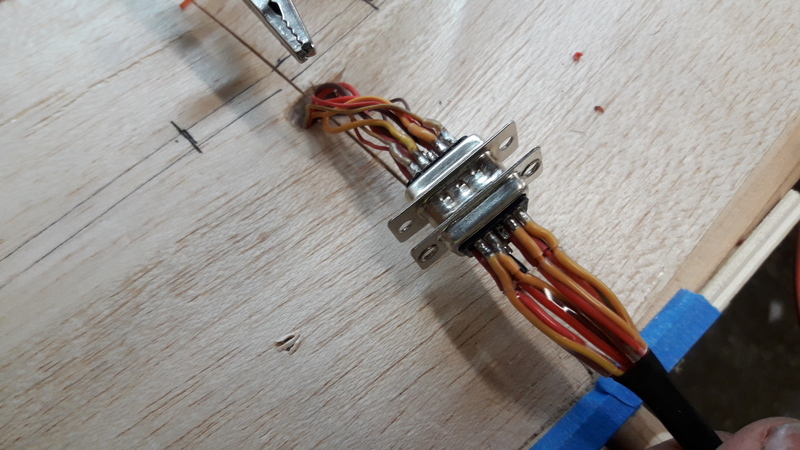 Now me being me, I went gun-ho and soldered this up.....without putting the heat shrink on the wires first!!! 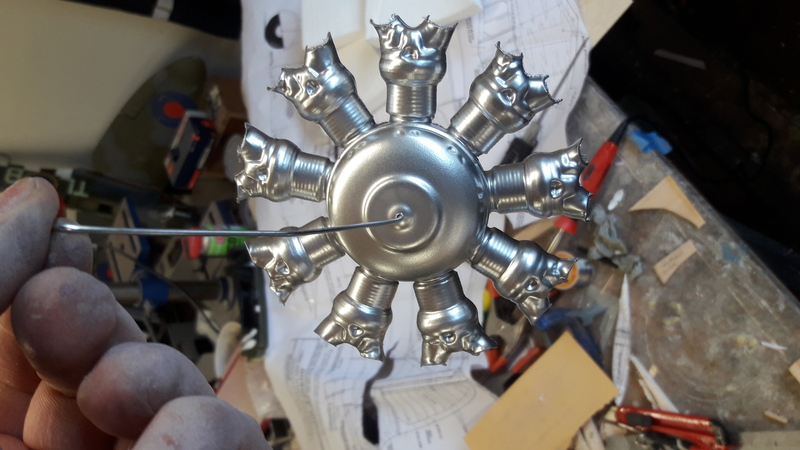 That was 24 solder joints that ALL had to be re-done! 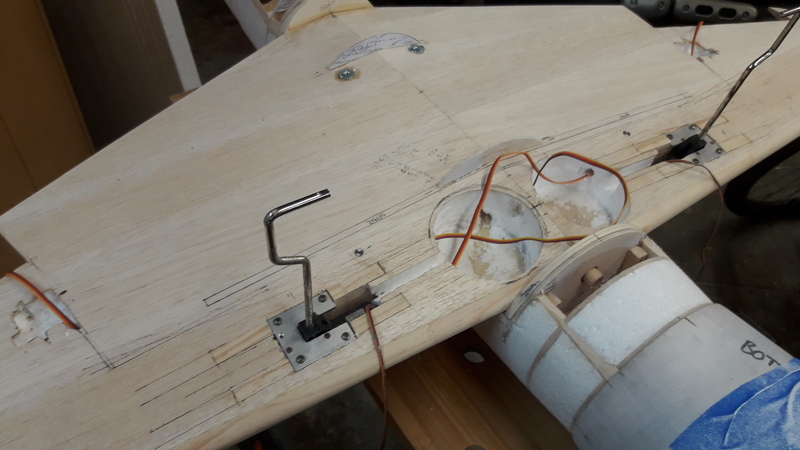 Oh and I should have thought about placement a bit more....I ended up extending the wires and redoing the wing plug again.....another 24 solder joints....no wonder I'm running out of time!! But it worked! 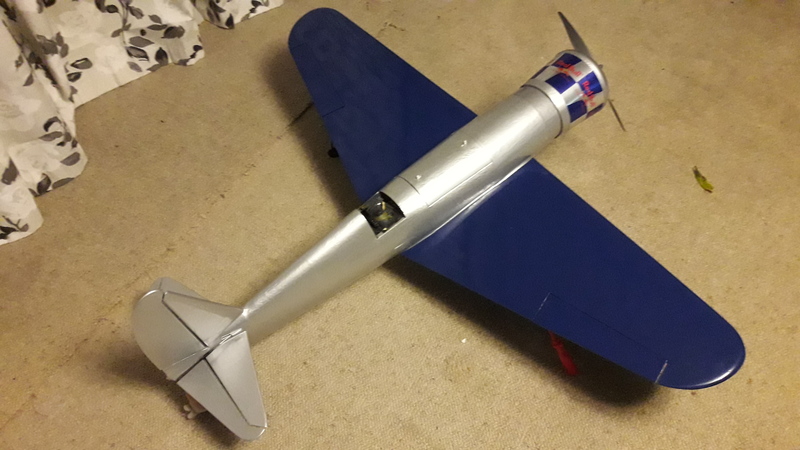 I also found a home for the rx, got the wing fillets on (I did change the shape as I was avoiding compound curves to make the can covering work), servo tray installed, tail-wheel installed and battery tray in. 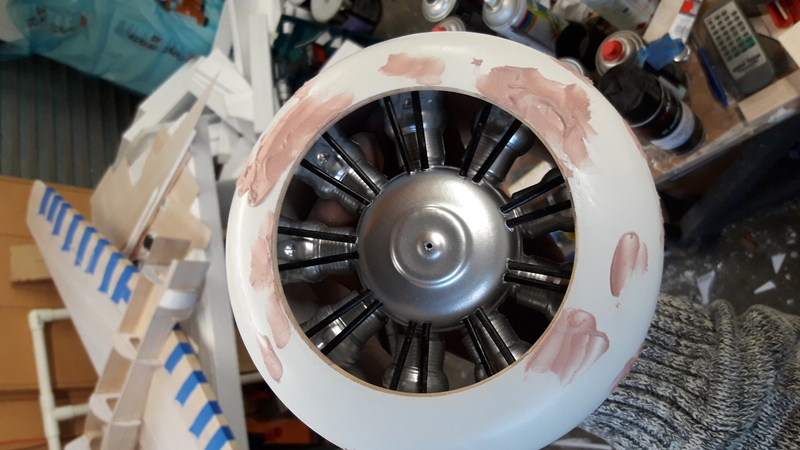 Also got the wheel wells lined and the belly pan foamed out and sanded. 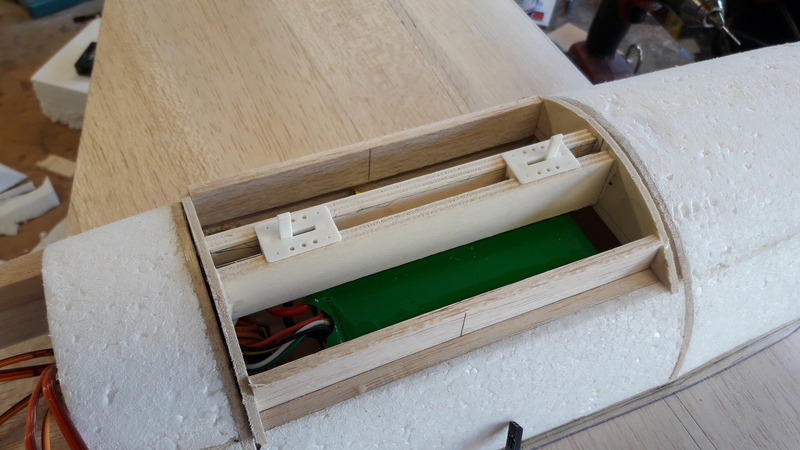 Also finally came up with a plan of attack for the battery hatch. 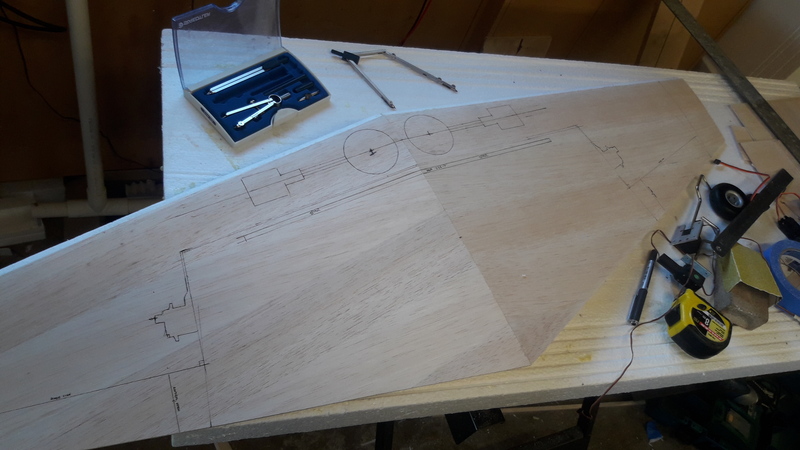 Had to start thinking 4th dimensionally to make that tail cone. It curved in every way!! 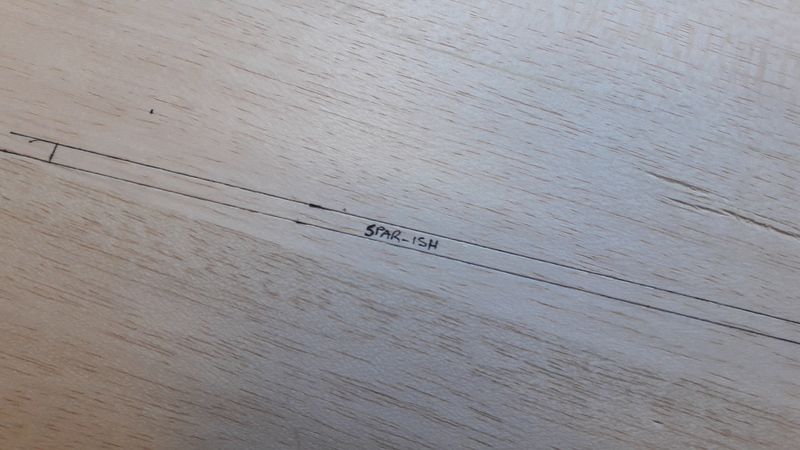 Not quite to scale but it looks good to me. So what to do? We're now into the 5th week. 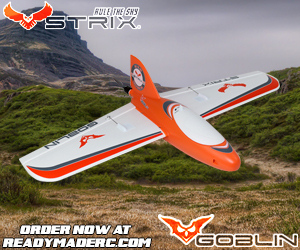 The competition is drawn on the 15th of August and I would love to submit my entry with a successful maiden. Cowl too heavy so threw some foam together in the hopes of making one out of that. Gutted about losing the can covering. 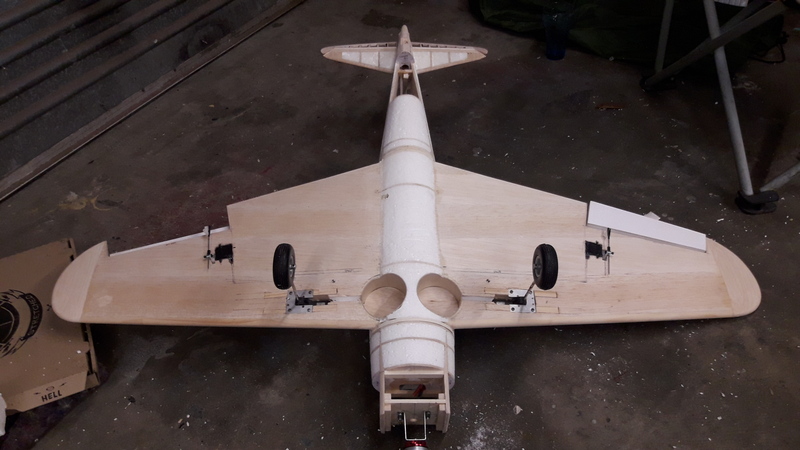 That was the plan right from the start and was how I planned this plane to stand out in the competition. A few pics taken while I contemplated my next move. I ordered some covering film, another thing I have not done! Now I had to make everything smooth so it would look good with the film on it. 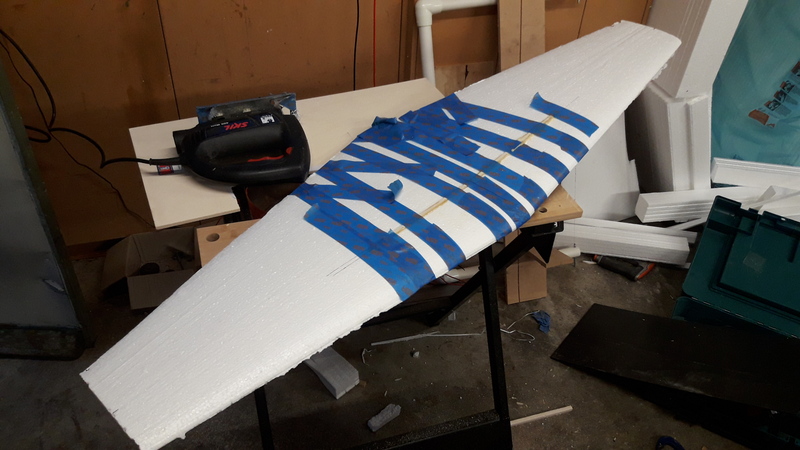 I started filling the foam and any dings etc. 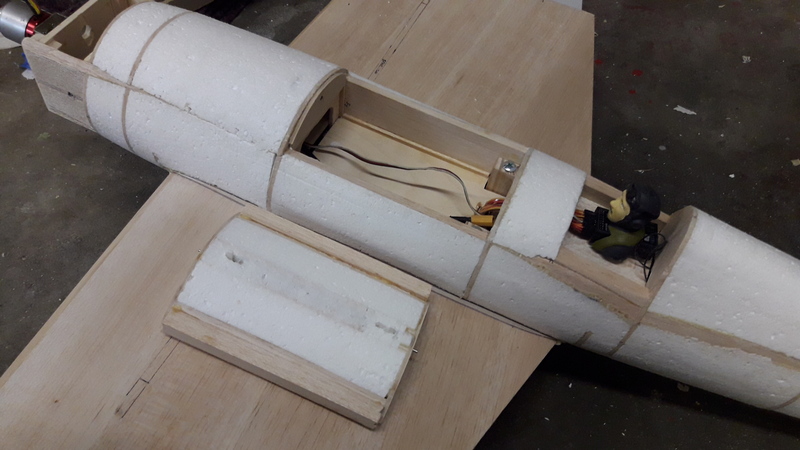 I left the fuse sitting on its nose while I worked on the wing, reaching for some sandpaper disaster struck! 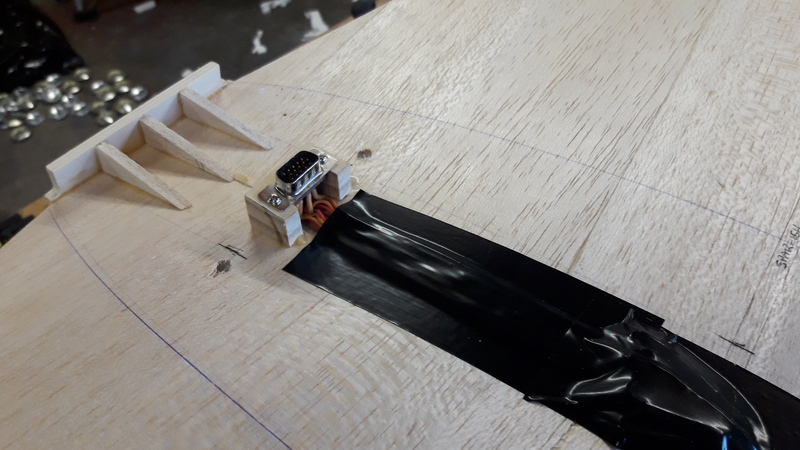 I knocked the fuse over and it landed right on the vert stab, which was fine....but the fuse snapped in half......really easily!!!! So today, the 25th of July I am writing this article to submit as my entry. 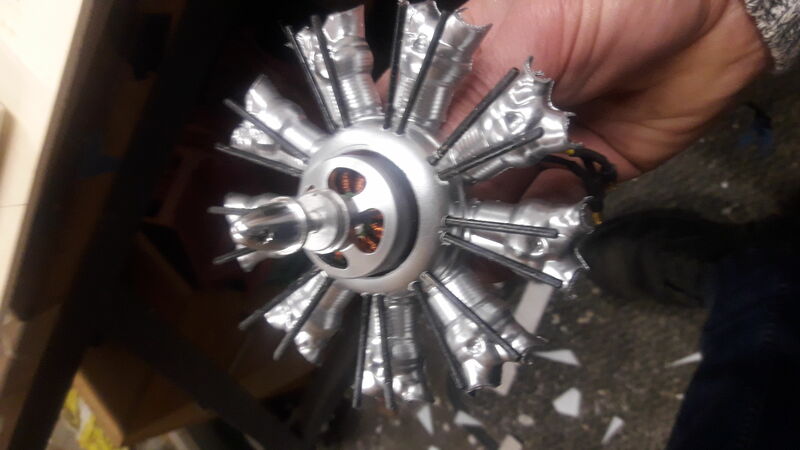 I have added some stringers to the fuse to strengthen it, ordered a bigger motor after spending hours on motocalc, and borrowed a covering iron ready to tackle that tomorrow. 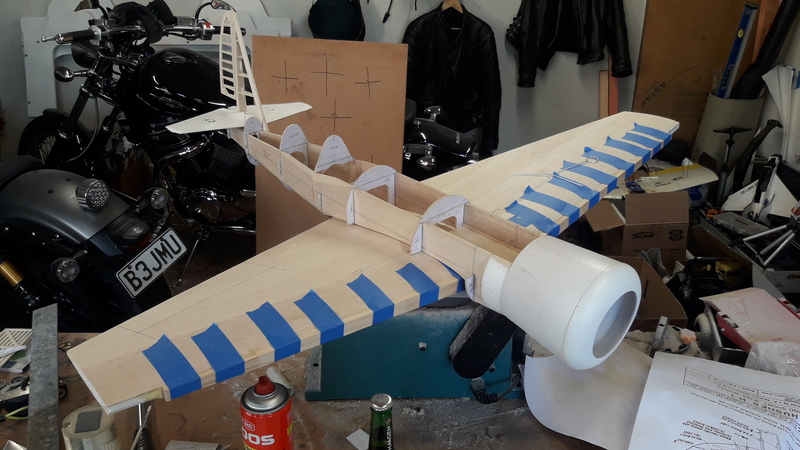 Fingers crossed I will update this with the finished plane before the winners are announced and my efforts will not have been in vain. I probably bit off a bit much trying to get this done but if you don't aim high you'll never achieve the impossible. 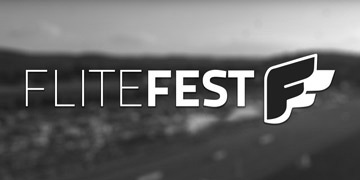 Let's put New Zealand on the Flitetest map!!! I'll keep updating this article until it flies or the winners are drawn, whichever happens first. So today is Sunday the 29th of July. New motor arrived on Friday. 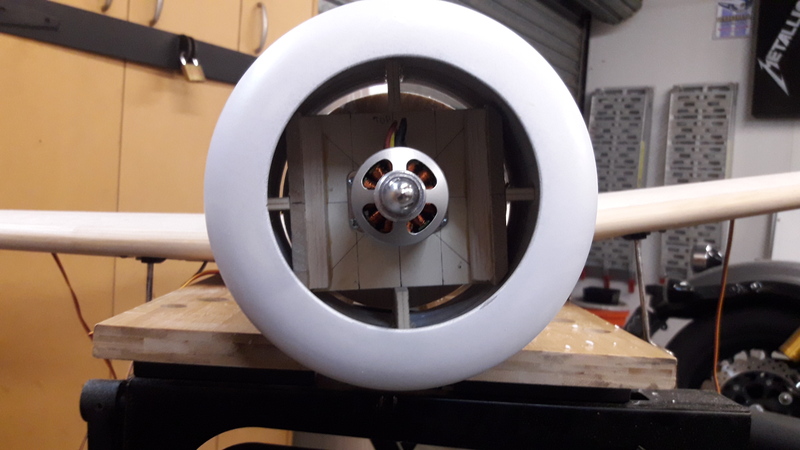 Turnigy G15 710kv spinning a 12x10 apc prop. That should get her airborne. Spent the better part of the weekend applying covering film. Takes much longer than I thought it would. It's evident now that I should have used another type of foam, unfortunately once I apply heat to the film the foam cells expand and its looking a little alligator skin now lol. At least it didn't melt!! Covering done!!! Man that sucked lol. 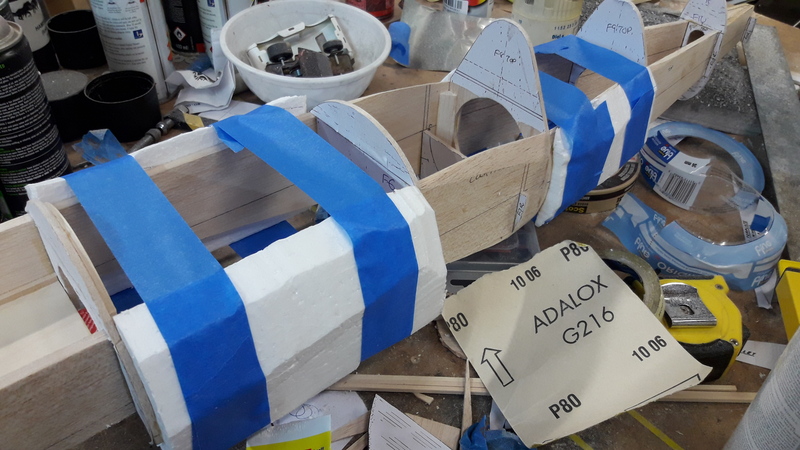 Today is the 31st July, been working on the canopy today and will be gluing hinges and control horns later this afternoon. 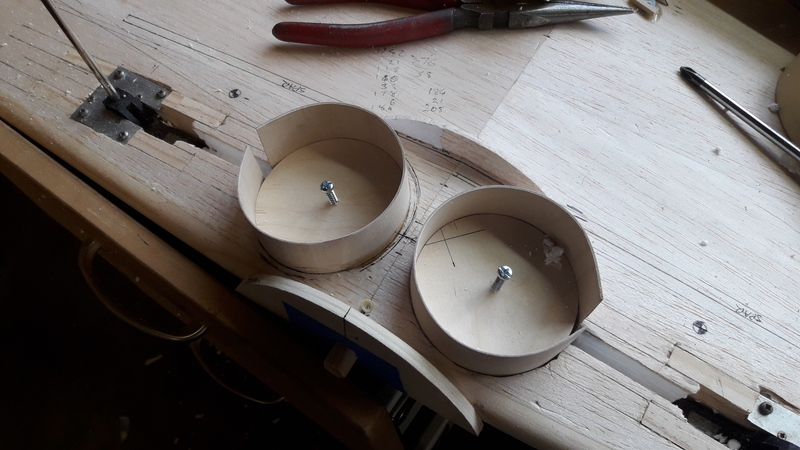 I decided that I had to do something with the Red Bull cans as I had intended so I made up a sweet chequered surround for the cowl. 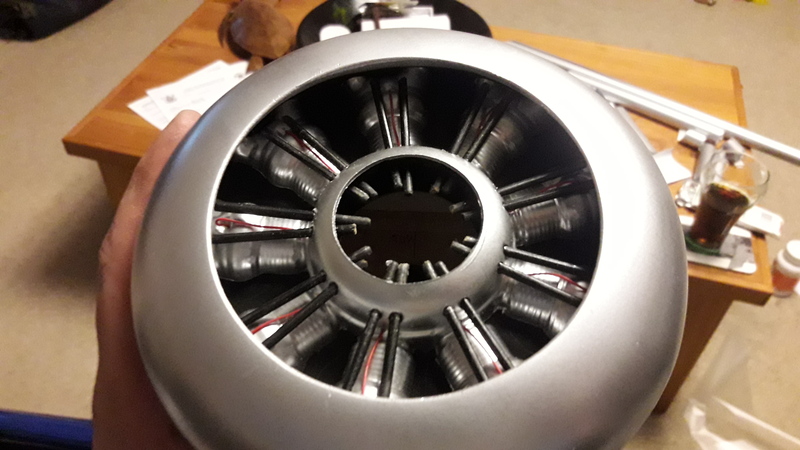 Also thought the faux motor was looking a little plain so I added some ignition wires. I might just make the deadline! Already getting nervous about the maiden lol. Friday 3rd August today, I got the canopy sorted out now. All the pushrods, clevises and control horns have now been hooked up. 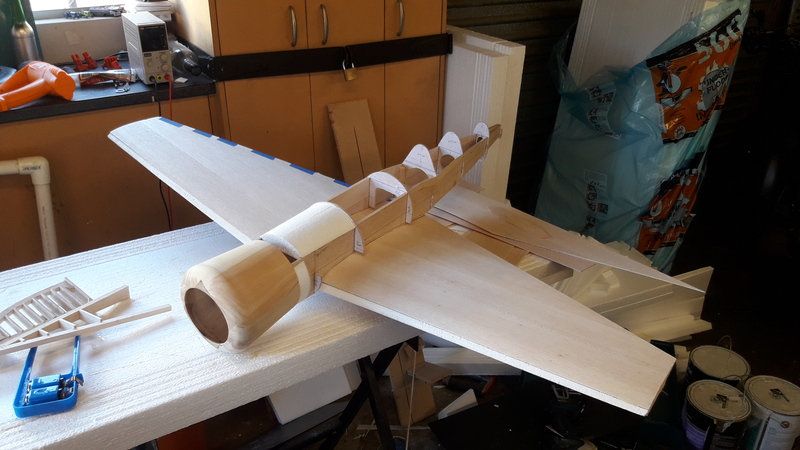 I had some pushrod exits rolling around in my drawer from who knows when or where so I figured I may as well use them to tidy up the rear of this plane. In that second pic you can see the wire that is epoxied inside the elevator. It bends through the tail section and then back inside the other elevator half to tie them together. 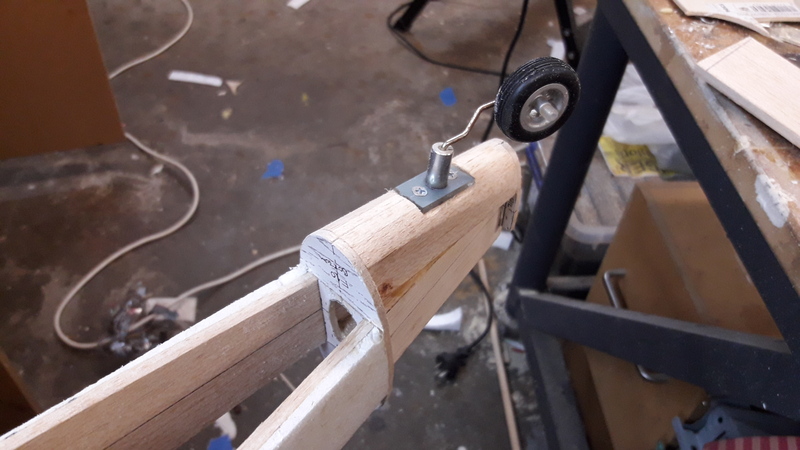 I did think about using a pushrod on each half but this was the easier and simpler option I thought. 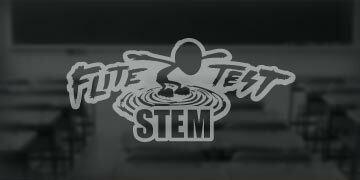 Excited as the graphics will be ready today and I will stick em on tonight. 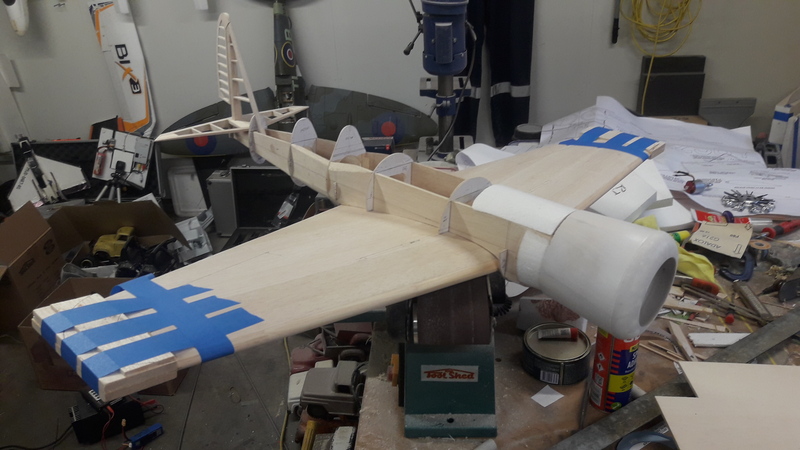 Just have to patch those holes under each elevator, put the graphics on and get the cg right then it flight time.........well not till next week now. Mother Nature has had other ideas. It's raining and very windy here at the moment. Looking better by about Wednesday or Thursday. Funny how this article has kind of turned into a live build log lol. 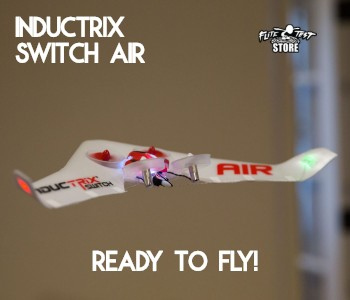 Watch this space for final pics and fingers crossed some awesome maiden flight footage!! Well she's done!! I must say I am bloody chuffed with myself for getting this bird done. I definitely underestimated the amount of work required but I got there. 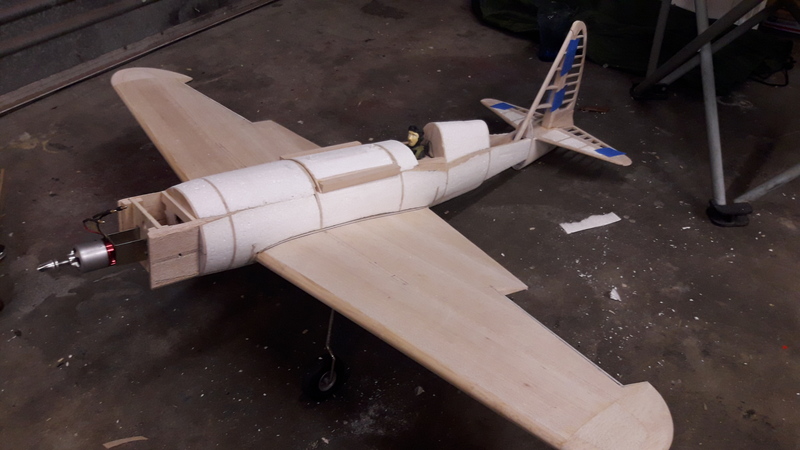 I also have much more respect for those balsa builders.....the hours they put in and then go out and fly them. Although I have enjoyed this build for the most part I have no interest in doing it all over hahahaha. Well although it's all ready to go Mother Nature has had other ideas. Friday-Tuesday is forecast for 14-23knot winds and rain. Thursday 9th looks like its going to be the day. Oh crap lol. While you wait here's another vid of my ugly mug and my beautiful bird. Got up at 6am in the total darkness and headed out to the field. Waited for a couple of buddies to arrive with cameras and Mavic. Sunrise was about 7am but I knew we'd have a bit of setup time first and we all had to be at work by 8:30am. This was my last chance at getting some flight footage before the comp closes tomorrow. Also the weather has been rubbish for the last week and today was the only window in more crap weather to come. Once everyone arrived we all started walking in to the field.......what we had no idea about was that the field had been flooded sometime in the last few weeks and it was nearly entirely covered in silt and mud!!! We could see a patch of green so thought that we had best check it out before aborting any flights. We trekked through the mud, my wife losing both shoes at one point, and found a patch of ground that was hard enough to take off from.....we hoped. So the Mavic went up, all cameras were turned on, surfaces and CG checked, I took a deep breath and the roll began. 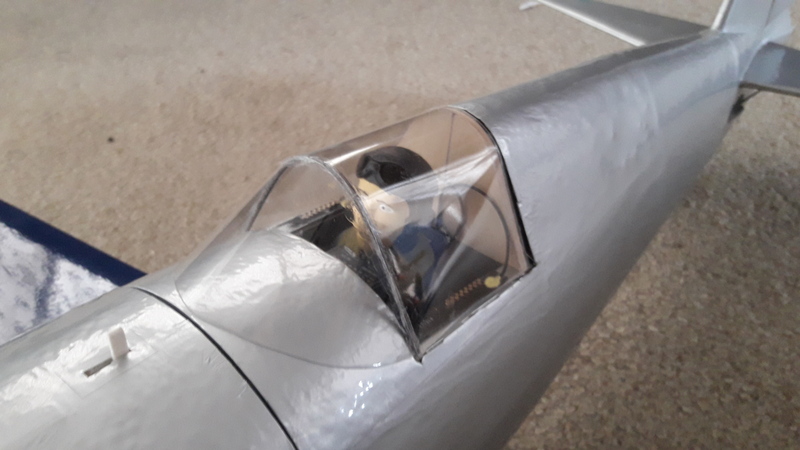 Now I'm not 100% sure what exactly happened......either I held the elevator up too long or I tried to take off too soon.......needless to say it lept into the air with no way near enough airspeed. I managed to flop it over the fence but then had to put it down hard before it ended up in the stream. 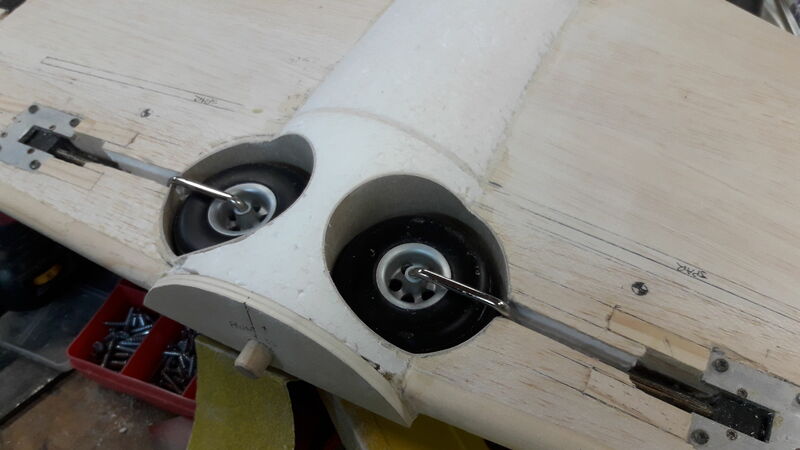 Broken prop (the only one in the country), bent gear leg and broke the top of the rudder. 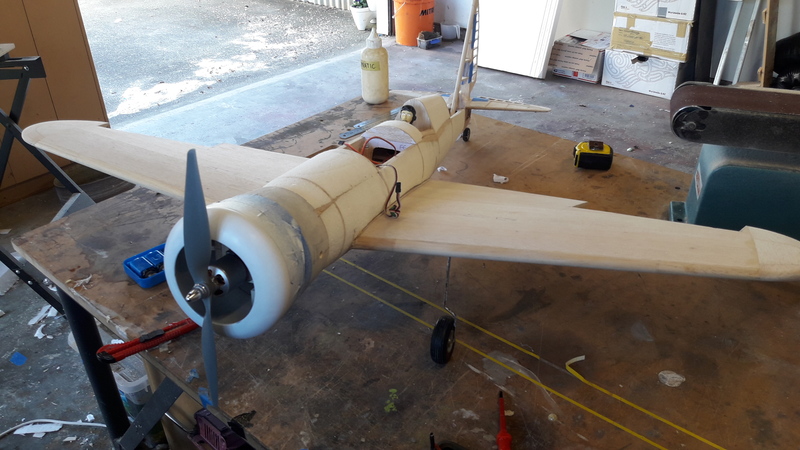 All easy fixes but no way to get another prop here in time to try again before the cut-off. 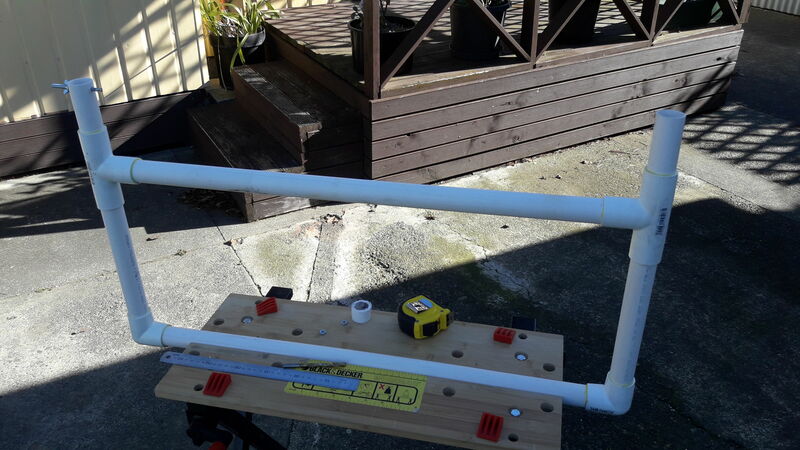 Oh btw the gasping is from my wife, she was running the GoPro and knows the amount of hours and effort that has gone into this project. I am gutted, especially because it was my own damn fault. But it will fly that's for sure!! Below is my final vid for my entry showing the "flight". Totally awesome work. Can't wait to see this beast fly. Thanks ZIPZAP, it's going to be close. I underestimated the amount of work in this a bit. It's all tyhose little things that eat time! About to update with the covering all finished. Getting nervous about maiden already!! That is one sweet plane! 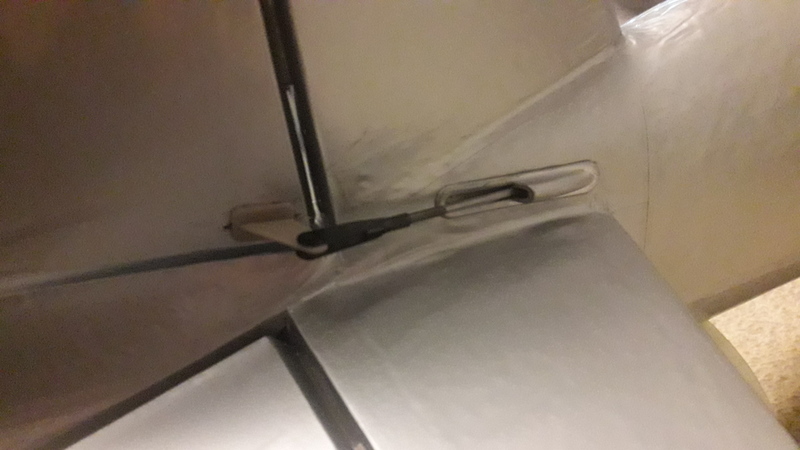 What are you using for hinges? 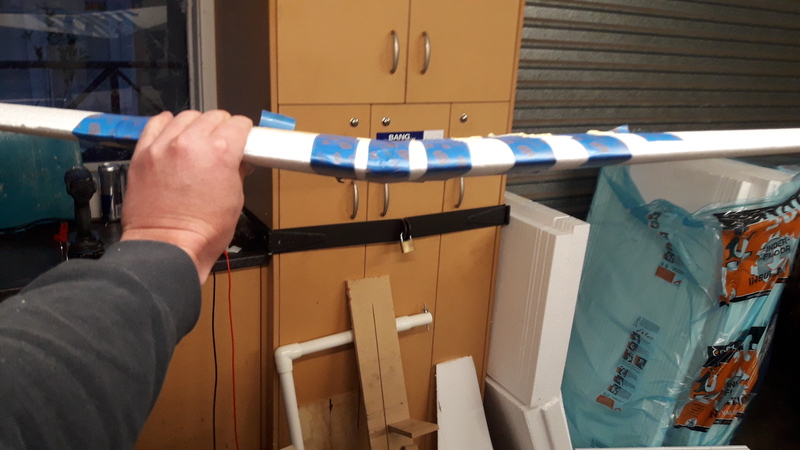 So how exactly do you shape the airfoil with your bow as your cutting? I could never figure that out in my head. Also, what film did you use? The low temp stuff like UltraKote works best. 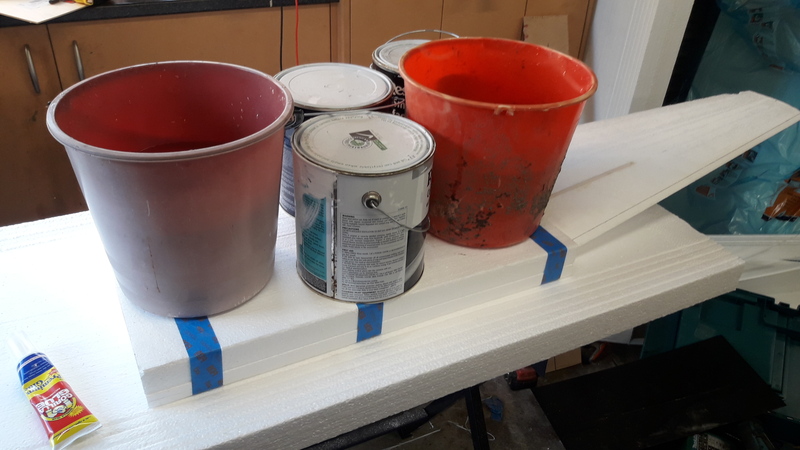 If the gatorskin bugs you, you can sand down and use Foam finish or Modge Podge in a pinch; gives you a hard glossy surface. 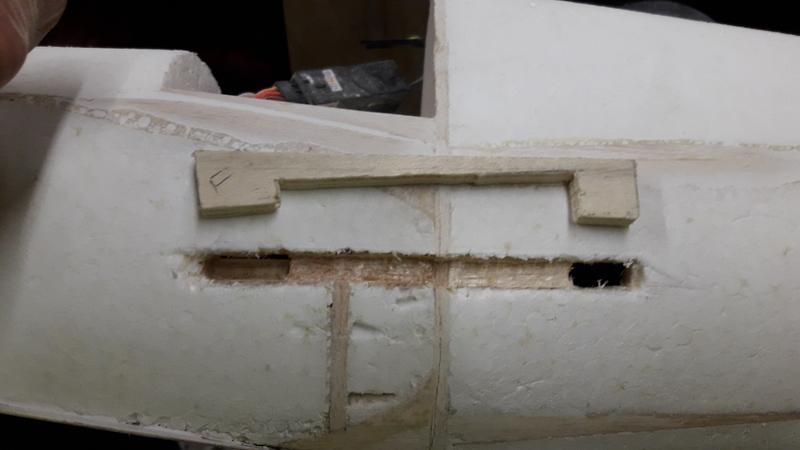 The foam block was the length of one wing. 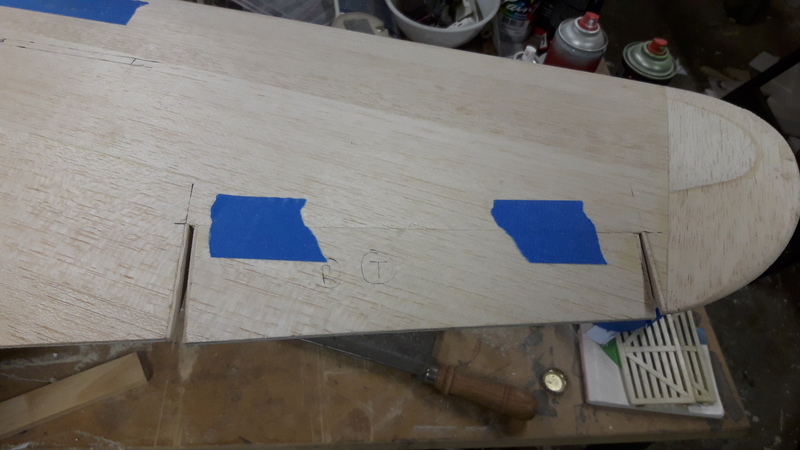 I marked out the centre line on each end and then glued a plywood center template and tip template on each end. The wire runs on those. 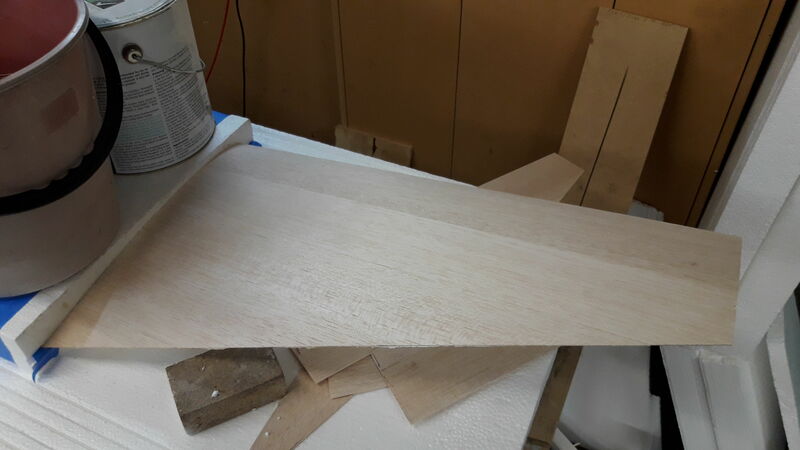 I marked each template into equal parts so that we started and finished at the same time, just counted as we cut. As long as we were both on the same number at the same time the airfoil would be right. Does that make sense? 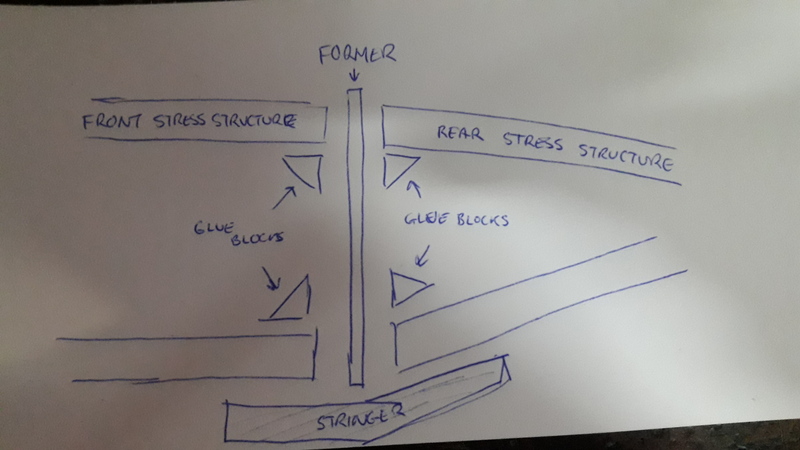 I can add a pic of the templates to the article if that would help you more. Thanks for the tips on the covering, I'm not sure what brand this stuff was as I just bought what I could get locally, very limited that way down here. Thanks mate, I appreciate the compliments. 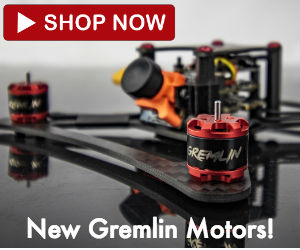 I might just have to build that P-40 I've always dreamed off having.........just not in 6 weeks lol. Oh and excited to see the maiden posted up! Bet she's going to be quick! It really is a beautiful plane, beautifully built! Well Done! Keep going! 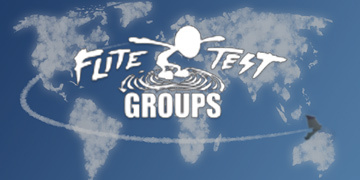 A few of us have been discussing our builds in a thread on the forum and we have been pinging the flite test folks for a lock on the closing date. We had the following response from Stefan which means you still have a few days. Thanks Damorc, I couldn't find any discussion or articles for this challenge. Secretly hoped I was the only entry lol. Can you link me to the forum discussion please. I'm still finishing her off. Plan was to maiden on Sunday but weather looking unfavourable now, its winter down here. Sure! 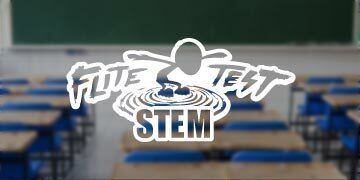 This is the link to the forum thread - just a couple of guys sharing their ideas and progress. This is amazing! 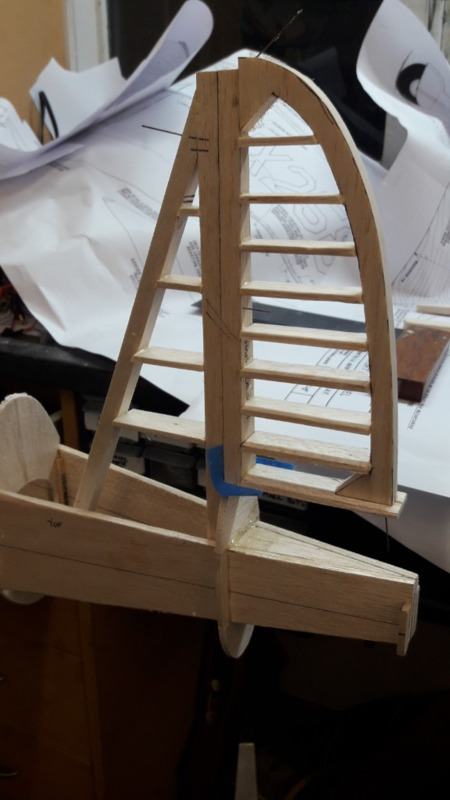 The fact that you did this good on your first time building a model from scratch shows that you have an amazing ability to learn new things. Great job! Thanks Mclags. I can’t wait to hear about your first flight. Just watch out for the little details. Nine times out of ten, my flights are doomed by tiny oversights. 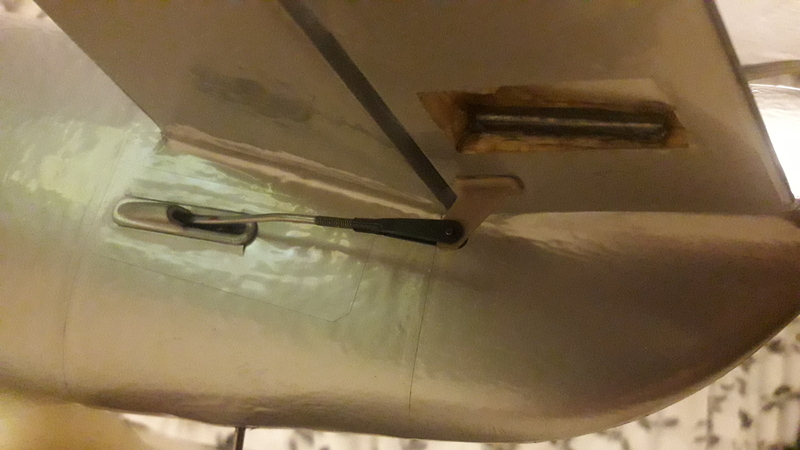 I can’t tell you how many times I totalled a plane because of something simple like I forgot to check the CG or I didn’t notice my ailerons were reversed. It’s such a blast though. Congrats on taking the contest, man! Enjoy a well deserved trip to the races!